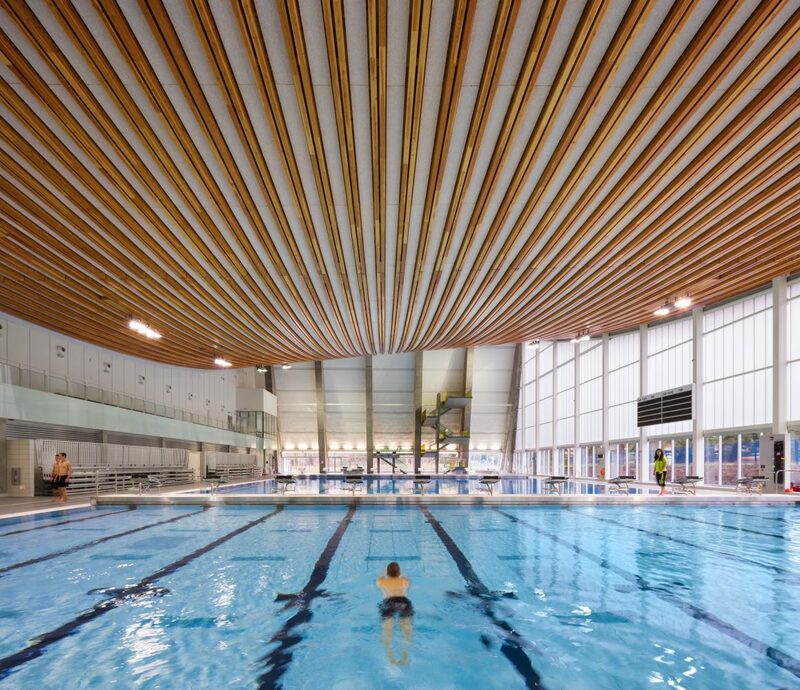 Newly built in March 2016, the design of the Grandview Heights Aquatic Centre received top industry award recognizing innovation and technical excellence. The LEED Certified pool itself has been constructed with regional, provincial, national and international sport hosting events in mind. 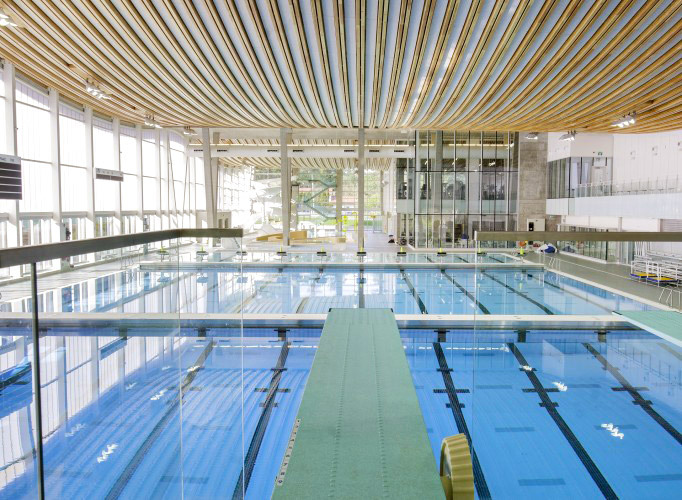 It has a 10-lane, 50m FINA-standard Olympic size competition pool with a full set of dive towers to a height of 10 meters. The centre also features separate 500 square meter leisure and lifestyle pools with a lazy river and spray feature, waterslide, and tot’s area to service the community. A state of the art fitness facility is also onsite including a cardio, weight and stretching zone. Not to mention the large family-friendly universal change area and exterior terrace and onsite food service. 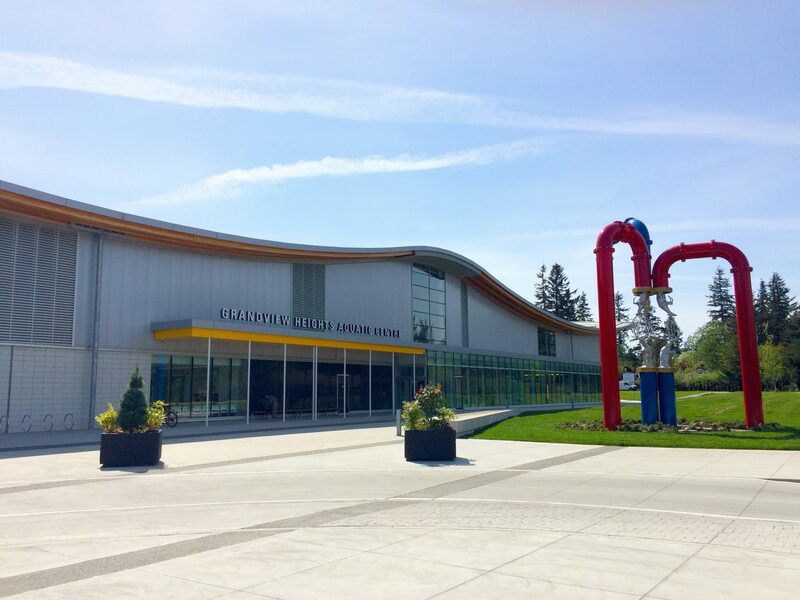 This entire facility has been designed to meet the needs of diving, swimming, water polo and synchronized swimming disciplines including spectator seating for 800-900 people! Host your swimming event at our world-class diving facility today! 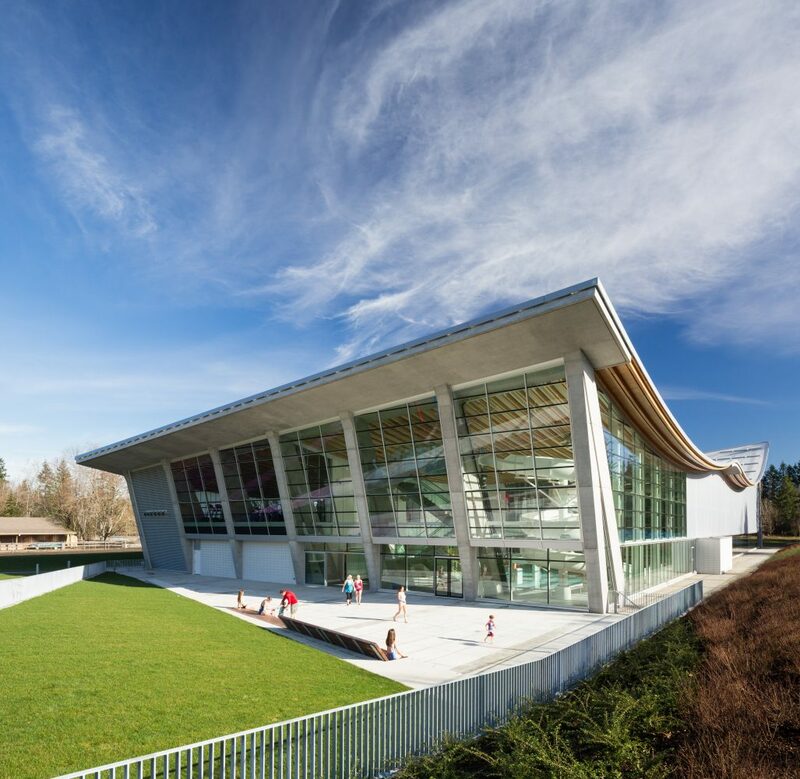 Positioned at the intersection of 168 Street and 24 Avenue in the neighbourhood of South Surrey, the Grandview Heights Aquatic Centre provides easy access to accommodations, restaurants and activities. 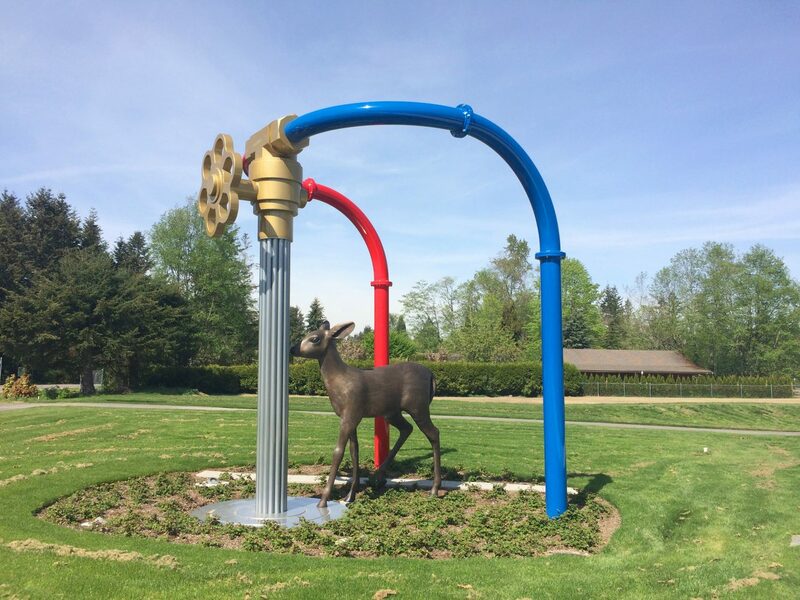 The neighbourhood of South Surrey is home to beaches, nature preserves, and scenic parks and trails, but with all the urban amenities of a metropolitan city. 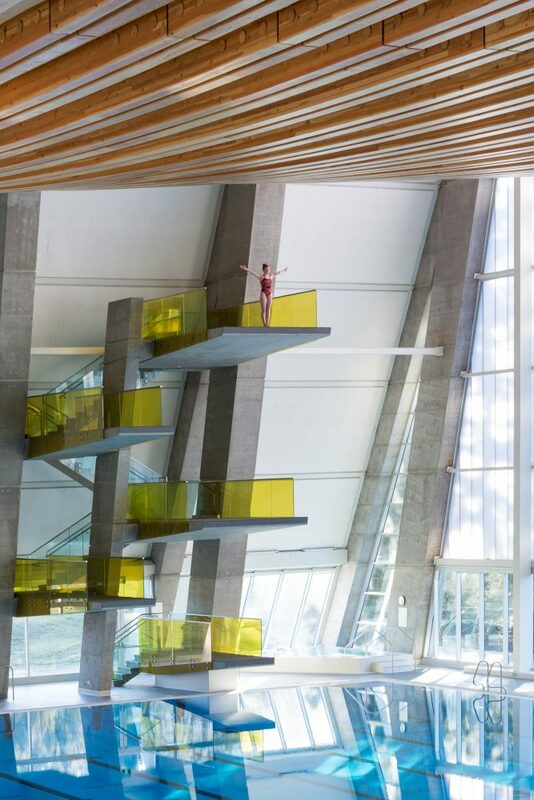 Sports Surrey is excited to have this new addition to our line-up of sporting facilities!